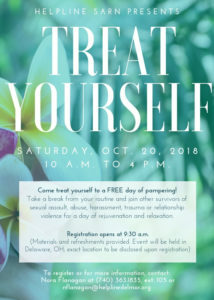 Delaware, OH – HelpLine will host its annual fall survivors retreat, Treat Yourself, on Saturday, Oct. 20 at 10 a.m. in Delaware, OH. This free, day-long retreat gives survivors of sexual assault, abuse, harassment, trauma or relationship violence an opportunity to engage in activities that promote healing, self-love and empowerment while bridging relationships among participants. Survivors will immerse in a holistic healing through relaxation and rejuvenation – with pampering being the central theme. 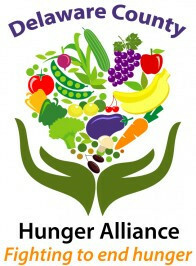 Attendees will place themselves at the center of attention and explore ways to nourish their mind, heart and soul. 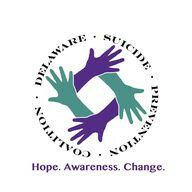 The annual retreat is one of many broad range of therapeutic SARN services and events to support survivors throughout Delaware, Morrow, Crawford and Wyandot counties. Available to all survivors – regardless of when the assault occurred – SARN offers healing workshops, one-one-one crisis intervention and advocacy. 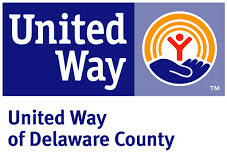 To register, contact Nora Flanagan at 740.363.1835, ext. 105 or nflanagan@helplinedelmor.org. If you or someone you know has been sexually assaulted, contact our 24/7 support and information line at 1.800.684.2324 or text helpline to 898211.